Kindergarten technology lessons are to develop mouse and navigation skills, strong keyboarding and writing proficiency as well as artistic drawing and painting ability. By following the Kindergarten technology lessons outlined below, children will develop the ability to navigate and use a mouse proficiently, open and close programs, type as well or better than they hand write and write words, sentences, and short paragraphs in word processor in a word processor. They will also develop a natural comfort and sense of confidence using technology. 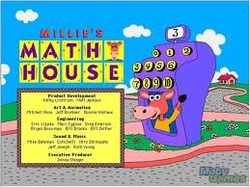 Millie Math House- With Millie's Math House, students build a foundation of fundamental math concepts and thinking skills. Through activities that feel like play, students explore numbers, shapes, sizes, quantities, patterns, sequencing, and new activities addressing measurement concepts and number sentences. 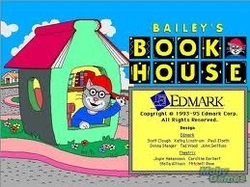 Bailey's Book House- With Bailey's Book House, students will learn through nine playful activities, students learn about letter names and sounds, rhyming words, adjectives, how text relates to visual symbols, positional words, letter recognition, sentence building and much more. These activities help build language concepts and thinking skills students need to communicate and make sense of the world around them. 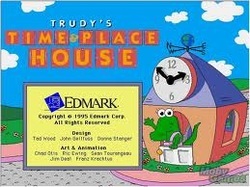 Trudy's Time House- With Trudy's Time House, students will learn how to expand their knowledge of the world around them through new modules that allows students to visit and compare cities, towns and the countryside and a new jobs module in which students learn about people in the community and what they do. This is in addition to the already well loved time, cardinal and relative direction, map symbols and Landmark activities – all part of understanding traveling with confidence. 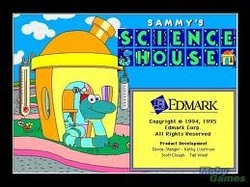 Sammy's Science House- Sammy helps young scientists build their understanding of biology and time concepts with two new modules that explore stages of plant development over time and looking at how different animals age. All seven modules focus on discovering how to think like a scientist learning how to observe, analyze and test theories. 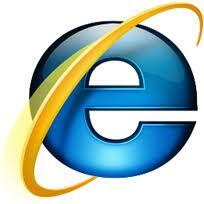 Internet Explorer- To find learning sites like ABC Ya and Starfall. 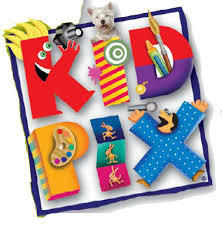 Kid Pix- The Class and still the one of the best art programs for kids to explore and express their creative side. 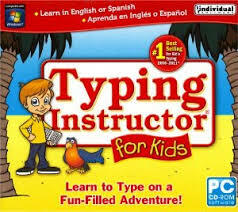 Typing Instructor for Kids- To practice typing the alphabet, numbers, punctuation, uppercase letters, and sentences. 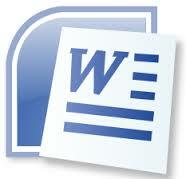 Students work towards certificates of completion.